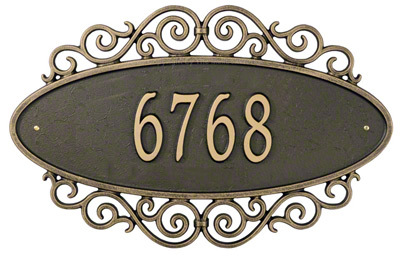 Reminiscent of hand worked wrought iron the Essex Two Line address plaque is hand cast from rust free aluminum to preserve the aesthetic for decades. 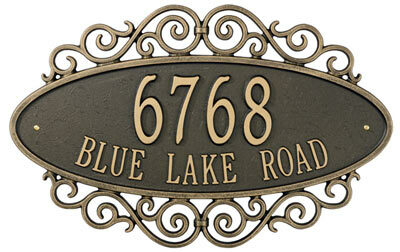 Wrought iron historically has been used in castle entryways throughout Europe and estate homes across America. 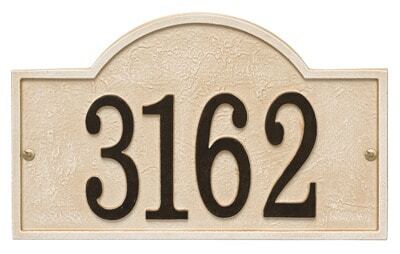 Bring the stately presence of the Essex address plaque to your home. 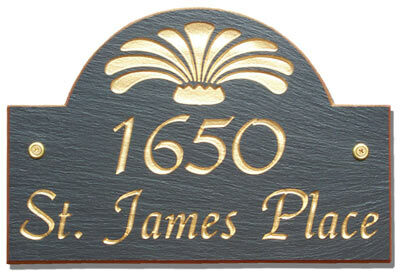 Shown in Bronze with Gold Letters, the Essex address plaque comes in 5 finish combinations. 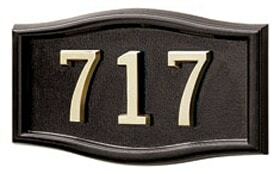 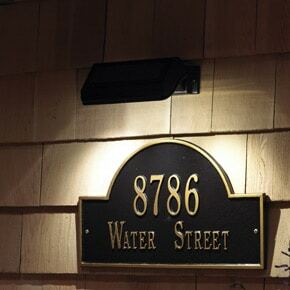 The Essex One Line Address Plaque holds up to six 3″ numbers. 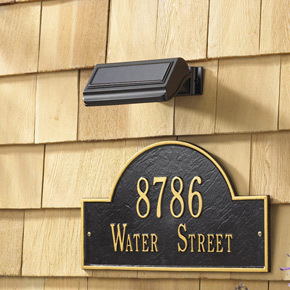 The Essex Two Line Address Plaque holds up to five 3″ numbers on the 1st line and up to sixteen 1.25″ characters on the 2nd line. 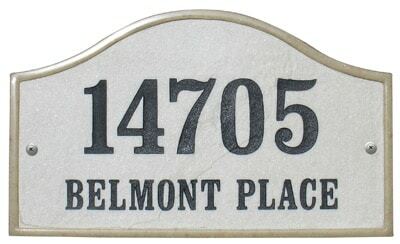 Address Plaque 10.5" 16.5" 0.5"